The Cardinals gave up six runs in the final four innings on Friday night to squander an early lead and drop the first game of the second half, 7-6, to the Marlins. Before the bullpen mangled the situation, the Cardinals belted four dingers—two of which were hit by Tommy Pham in a career-high four-RBI day. But reliever Trevor Rosenthal came on in the seventh and hit Giancarlo Stanton with the bases loaded to drive in a run, then gave up a two-run single, making it the third time he’s allowed an earned run in his last five outings. St. Louis ultimately lost what was then a tied game when reliever Seung-hwan Oh gave up a two-out, one-run single in the top of the ninth to put the Marlins ahead for good. 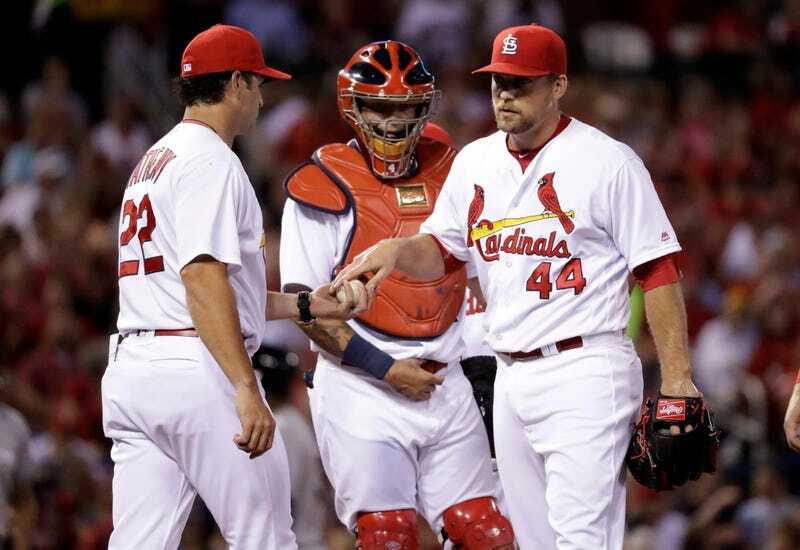 The Cardinals are 46-43 and have lost 27 games at home—more than they did all of last season. There’s always the next game!